The one most important novelty of Lightroom 3 for me is noise reduction. With a camera like a Nikon D3 or D700, you may not have much trouble with noise, but many of us are playing in the D60, D90 park. For Canon an EOS 50D in this case. So, when you find yourself in a place like in a church for a concert, you may not be able to use your flash. In fact it’s almost certain. 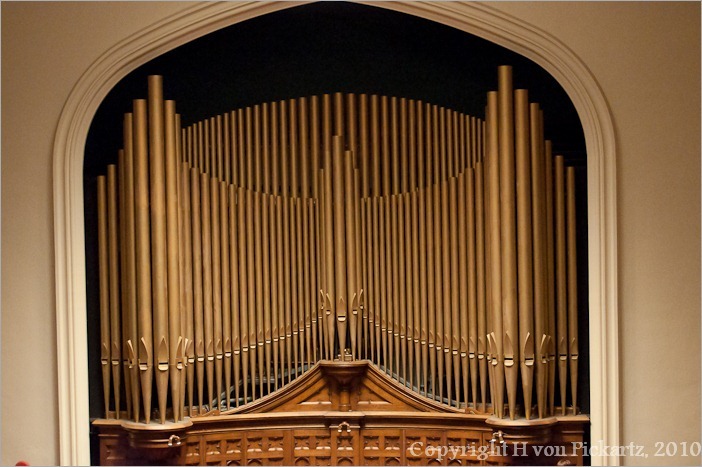 The church is too big to be lit by the on camera flash and you won’t be able to bring light stands and other stuff. So you end up shooting handheld, or camera on a mini tripod like me for this picture, and to get the singers of the choir (omitted here) at least recognizable, you will have to use a high ISO. 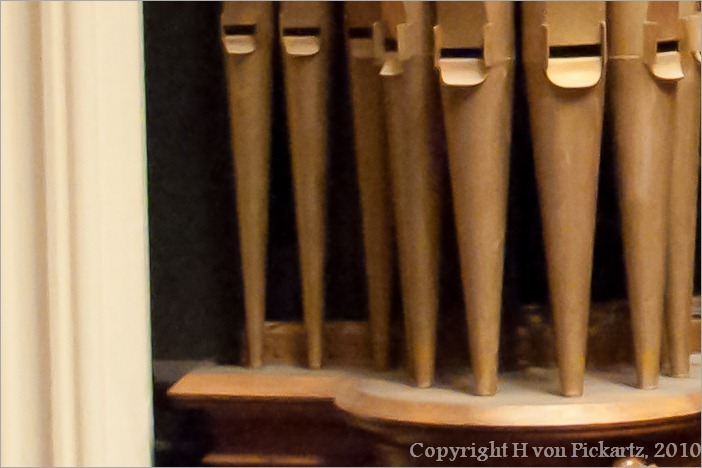 The organ picture has a 6400 ISO value. Straight out of the camera, the noise is there, there’s nothing else to say. Already a good job, almost suitable for printing. If you exclude the poster sized prints, that is. 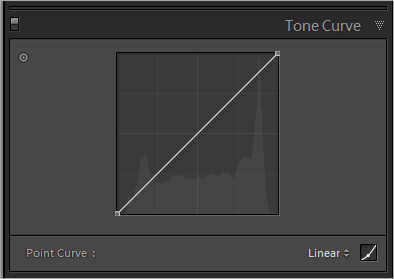 Lightroom 3 has a different noise reduction engine. It will use different algorithms and methods to combat the noise. You may not like the result completely, but admittedly the result is a LOT better than the original or the LR2 version. Now if you consider that this is a 1:1 image, you may never see as much detail in any of your prints. Quite a difference with the original version, eh? 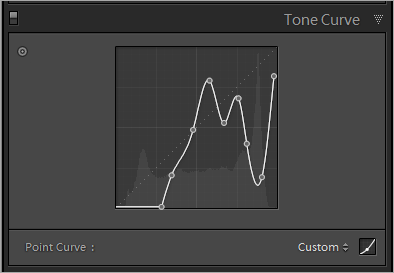 The next thing is the curves in Lightroom. In LR2 the curves for improving your pictures were pretty stiff. No way of adding points or getting out of the fixed paths that were set in Lightroom. Now this is different. It means that now we can adjust pictures exactly the way we want to, but can also go “over the top” and create something totally new. 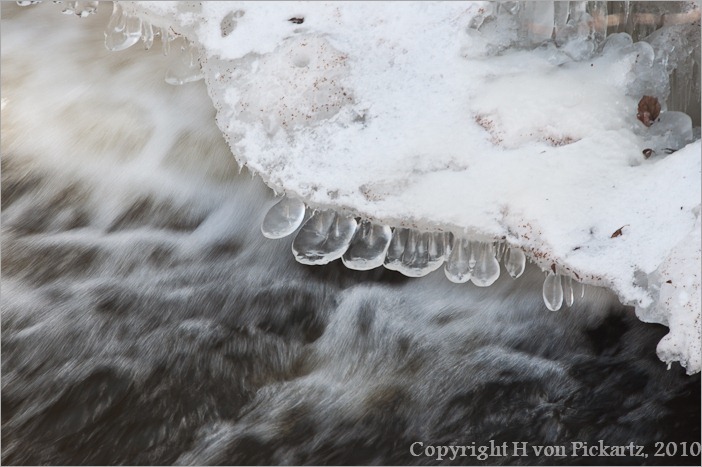 Let’s take a fairly standard picture like these ice formations at the Pinawa Dam. You could say that they look like teeth… ok, fair enough, this picture is not something I would publish in a book. Now let’s see what we can do with curves. Those of us who use Photoshop for manipulating images (for lack of a different tool) can now do the same thing right inside Lightroom. No more need to export, manipulate and re-import the picture. 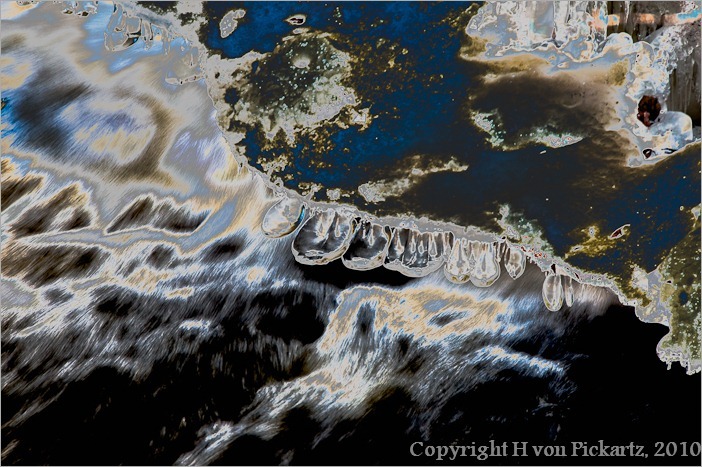 Now it looks more like a satellite picture than like some aggregations of ice over fast flowing water. Cool, eh? Another thing you might have noticed is the watermarks. LR3 now allows for usable watermarks on exported pictures. You can control mostly everything, from font, size and position to transparency. I promise I will not make too much use of these here, for me it always distracts from the picture. And if it doesn’t distract, it’s not worth having it in your picture anyway.